Some pictures of the rebuild I just finished on this brake assembly done for a 69 Mach 1...with the correct plating on the mounting bracket. The rebuild itself was not that difficult, but taking it apart takes patience since most of these have a good amount of corrosion. First picture shows a comparison with what most of these look like that I have taken off cars. 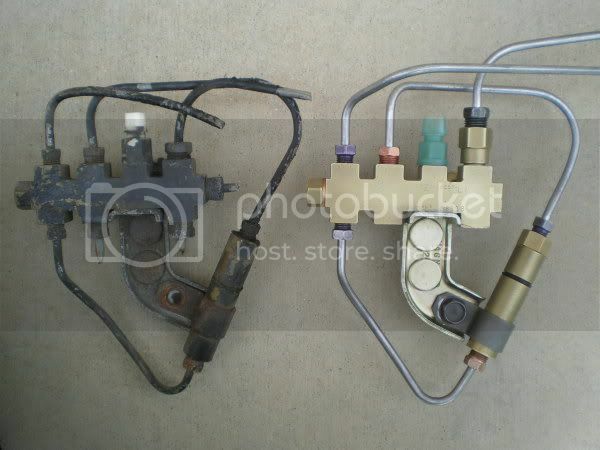 Adding a picture of this mounted in the car as well, with all the brake lines connected. Marcus,great job especially the yellow dichromate on the bracket.Seen a lot of eye-popping cars with cruddy brackets on their dist block.One thing,and I know you're gonna hate me,I think the 2 weld studs on the bracket were installed after the bracket was plated and were black oxide like the nuts.It's not my fault that I turned into a nit picker.It's the site.Got me running scared on every move on my car for fear of incorrectness.That being said,I don't see any way to get the studs out or back in without wrecking the bracket. Actually the two weld studs from what I see were dichromate as well. I have one original unrestored crusty bracket/distribution block and you can see the dichromate finish on the threads themselves of those studs. 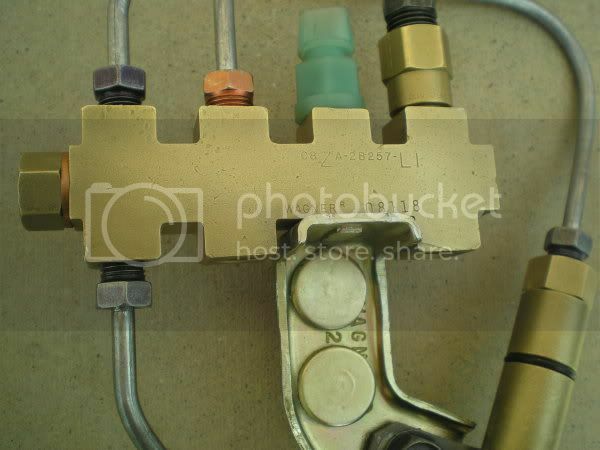 So I would need to see an original assembly line untouched bracket to show that it was different....but everything I have points to that entire bracket being the same finish like in the photos. Beautiful job Marcus, I understnd the plating process, can you shed a little knowledge on how you get the brass clean and looking like that? John - for the brass you need to use a bead blasting cabinet with a light abrasive media. Need to be careful not to hit the plated bracket, and then when finished a light hand polish to bring the natural brass finish back. The main thing here is you do not want something that is too shiny and not something that looks like it was beadblasted. It helps to have a few spare pieces to practice with until you get the right technique down. Thanks Marcus, I`ll give it a try. I'm curious as to the adapter in the one master cyl. line? I have not seen that on any disc brake cars I have worked on before? Actually, I did reach a conclusion. Refer to the link Scott posted above that I just updated. Marcus; I can't get the piston to center under the sending unit. I have tried bleeding at front and rear cylinders, but, the light won't go off. My question: can the piston be moved forward or backwards simply by pushing? 1. 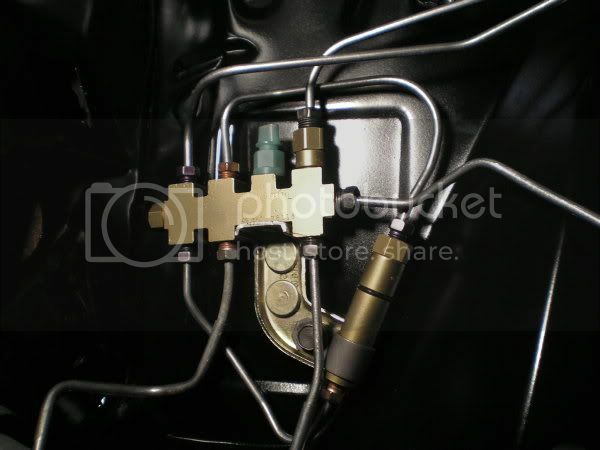 Bleed the fluid level down in the master cylinder to reduce spillage. 2. 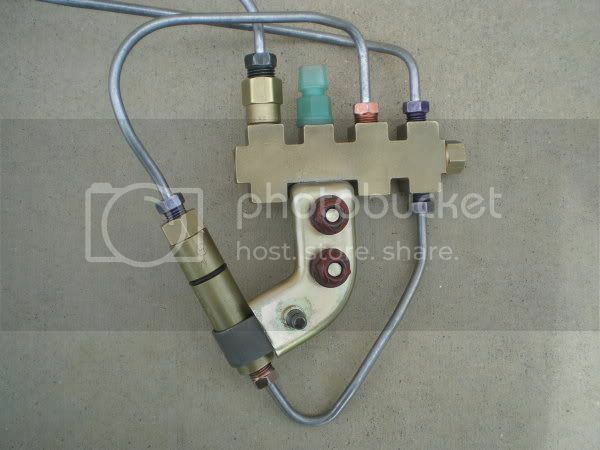 Remove the end plug/cap nearest the fire wall. 3. Remove the Horizontal left front brake line at forward, shock tower, area. Brian, I have never tried what your asking here....but in theory you could possibly be able to do this, unless the piston is centered on the wrong side then pushing would never work. Normally if I have this situation happen on a car I open up a wheel cylinder, or caliper, to create opposite pressure in the system to move the piston. I assume you tried that? Frustrating problem. I think this is what Scott's handy dandy tool is for. Have you been able to get the light to turn off? I'm not exactly sure about the schematics but could there be a short or ground problem that keeps it on. Any chance that you can bleed the brakes with the key on to see if a helper can verify that the light turns off as the piston passes the center position. Good luck.